GREAT 3D TV Deal! 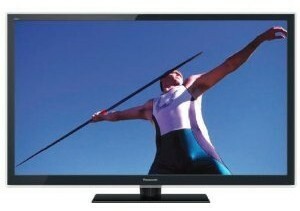 Panasonic 42-Inch 3D Full HD LED-LCD TV w/ 4 Pairs of 3D Glasses + FREE Shipping only $599, Regularly $1,099! TODAY ONLY at Amazon, you can get a great deal on a Panasonic 42-Inch 3D Full HD LED-LCD TV with 4 Pairs of 3D Glasses. Right now it is only $599 with free shipping. This regularly costs $1,099! Click here for much more info!